Sven Koenig is a professor in computer science at the University of Southern California and was also a program director at the National Science Foundation (NSF) from 2010 to 2012. He received his Ph.D. degree in computer science from Carnegie Mellon University in 1997 for his dissertation on "Goal-Directed Acting with Incomplete Information." He also holds M.S. degrees from the University of California at Berkeley and Carnegie Mellon University. He is proud of his students, who have won many awards (including best paper, best dissertation, best research assistant, and best teaching assistant awards) and took their first jobs in academia. One of them (Prof. William Yeoh) was selected by IEEE Intelligent Systems as one of the "AI's 10 to Watch" 2015 ("10 young stars in the field of AI," chosen every two years from researchers around the world). Sven is interested in intelligent systems that have to operate in large, nondeterministic, nonstationary or only partially known domains. Most of his research centers around techniques for decision making (planning and learning) that enable single situated agents (such as robots or decision-support systems) and teams of agents to act intelligently in their environments and exhibit goal-directed behavior in real-time, even if they have only incomplete knowledge of their environment, imperfect abilities to manipulate it, limited or noisy perception or insufficient reasoning speed. He believes that finding good solutions to these problems requires approaches that cut across many different fields and, consequently, his research draws on areas such as artificial intelligence, decision theory, and operations research. Applications of his research include robotics and video games as well as transportation, planetary exploration, supply-chain management, and crisis management (such as oil-spill containment). 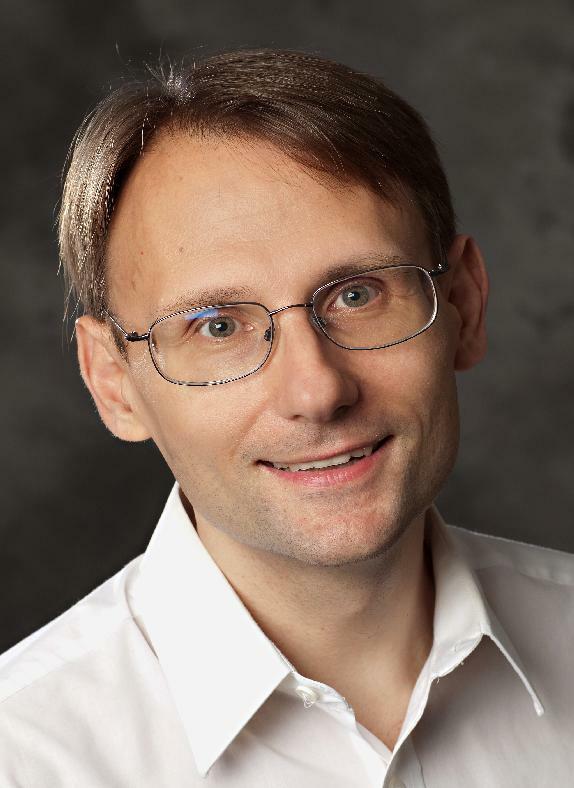 Sven is a fellow of the Association for the Advancement of Artificial Intelligence (AAAI) and the American Association for the Advancement of Science (AAAS). He has edited several conference proceedings and published more than 250 papers in various areas of artificial intelligence and robotics, including more than 40 papers at AAAI and IJCAI (the two main artificial intelligence conferences), as well as papers in planning (ICAPS and its predecessors AIPS and ECP), agents (AAMAS and its predecessor Autonomous Agents), machine learning (ICML, COLT), numerical artificial intelligence and control (NIPS, UAI, AI and Mathematics), knowledge representation and reasoning (KR, CP, CPAIOR), robotics (ICRA, IROS, RSS), games (AIIDE, FDG, CIG), and others. He was conference co-chair of the 2002 Symposium on Abstraction, Reformulation, and Approximation (SARA), the 2004 International Conference on Automated Planning and Scheduling (ICAPS), the 2009 International Symposium on Combinatorial Search (SoCS), and the 2018 International Joint Conference on Autonomous Agents and Multi-Agent Systems (AAMAS). He was program co-chair of the 2005 International Joint Conference on Autonomous Agents and Multi-Agent Systems, the 2015 AAAI Conference on Artificial Intelligence, the 2016 and 2017 Symposia on Educational Advances in AI (EAAI), and the 2018 International Conference on Automated Planning and Scheduling. He is chair of the ACM Special Interest Group on Artificial Intelligence (ACM SIGAI), a member of the advisory board of AI Magazine (where he earlier helped to start both the "Competition Report" and the "AI in Industry" tracks), an associate editor of the Artificial Intelligence journal, the Journal of Autonomous Agents and Multi-Agent Systems, and the Journal on Advances in Complex Systems, and an editor of the Communications of the ACM (Research Highlights). He was a councillor of AAAI, a member of the advisory board of the Journal of Artificial Intelligence Research (JAIR), an associate editor of Computational Intelligence and JAIR, and a member of the steering committees of ICAPS, SoCS, and SARA. He co-founded both Robotics: Science and Systems (RSS), a highly selective robotics conference, in 2005 and SoCS, the first regular meeting of the search community in artificial intelligence, in 2009. Sven is passionate about helping students and young researchers to get a good start in their careers. On the high-school level, he repeatedly represented AAAI as a judge at ISEF, which brings together over 1,400 high-school students from more than forty nations. On the university level, he often serves as external member on dissertation committees, was three times co-chair of the AAAI student abstract and poster program, often participates as panelist or mentor in doctoral consortia of artificial intelligence conferences, was a member of award committees of major artificial intelligence conferences and journals, and frequently presents tutorials about his research at summer schools and conferences. He co-organized many USC Programming Contests and trained USC students for several Regional ACM Programming Competitions, where they placed 2nd out of 73 teams in 2006 and 1st out of 75 teams in 2012 (and went on to the world finals). At NSF, he helped to manage the Research Experiences for Undergraduates (REU) Sites program and initiated the NSF European Extended Lab Visit Program for Graduate Students in Artificial Intelligence and Robotics. Sven has recently also become interested in AI Ethics, not because he has any answers but because he has lots of questions. He was a member of the organizing committees of the AAAI Workshops on Artificial Intelligence and Ethics (and Society) in 2015 and 2016, helped to initiate the ACM SIGAI Student Essay Contest on the Responsible Use of Artificial Intelligence Technologies in 2016, moderated the EAAI Panel on Artificial Intelligence Ethics Education in 2016, co-authored an article in Artificial Intelligence Magazine on Ethical Considerations in Artificial Intelligence Courses in 2017, became a member of the executive committee of the IEEE Global Initiative on Ethics of Autonomous and Intelligent Systems in 2017, co-founded the AAAI/ACM Conference on AI, Ethics, and Society in 2018, and currently co-edits a special issue of the Artificial Intelligence journal (AIJ) on ethics for autonomous systems. In his spare time, Sven used to care for more than fifty newts from all over the world. He is also a member of the Academy of Magical Arts at the Magic Castle in Hollywood, but has not yet managed to make all (or even some) of his work disappear. His Erdös number is two . Here are two biographies that can be used for announcing talks. Sven Koenig is a professor in computer science at the University of Southern California. Most of his research centers around techniques for decision making (planning and learning) that enable single situated agents (such as robots or decision-support systems) and teams of agents to act intelligently in their environments and exhibit goal-directed behavior in real-time, even if they have only incomplete knowledge of their environment, imperfect abilities to manipulate it, limited or noisy perception or insufficient reasoning speed. Sven is a fellow of the Association for the Advancement of Artificial Intelligence (AAAI) and the American Association for the Advancement of Science (AAAS), chair of the ACM Special Interest Group on Artificial Intelligence, a member of the advisory board of AI Magazine, an associate editor of AIJ, JAAMAS, and ACS, and an editor of CACM. Additional information about Sven can be found on his webpages: idm-lab.org.